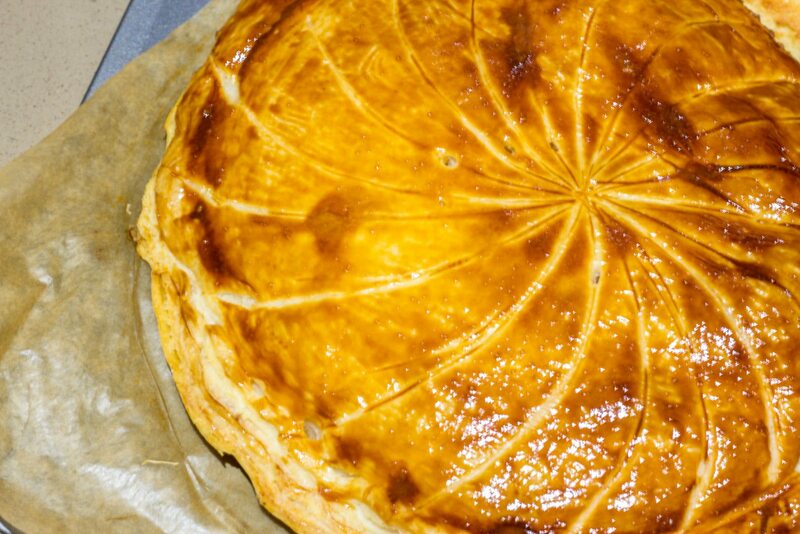 The ‘Galette des Rois’ is typically a French tradition that celebrates the Epiphany. This celebration derived from the night the three kings (wise men) Gaspard, Balthazar, and Melchior, voyaged to pay their tribute to one of the world’s most famous enfant born on earth, bringing with them gifts. This tradition has lost much of its religious significance over the years. 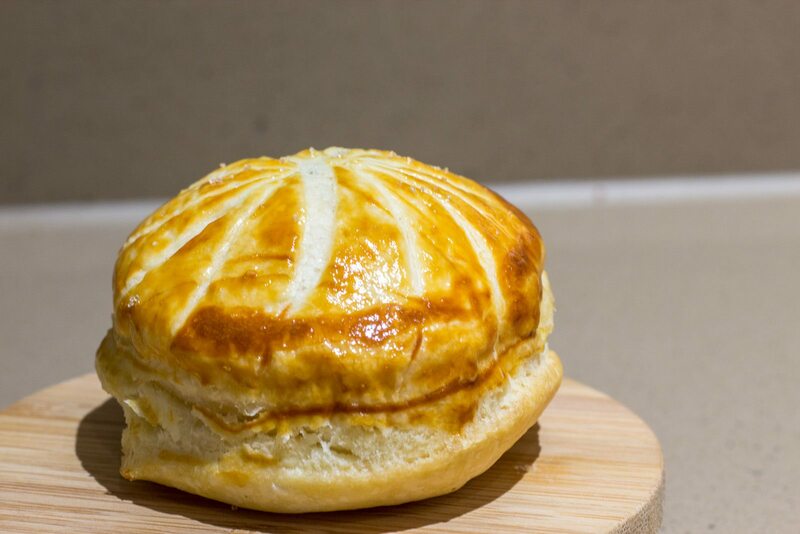 For many French families, this tradition has become a day where the family gathers and shares a Galette des Rois (a puff pastry pie filled with a smooth mixture of frangipane, a mixture of both almond and pastry cream, and finished by hiding a small charm in the frangipane). 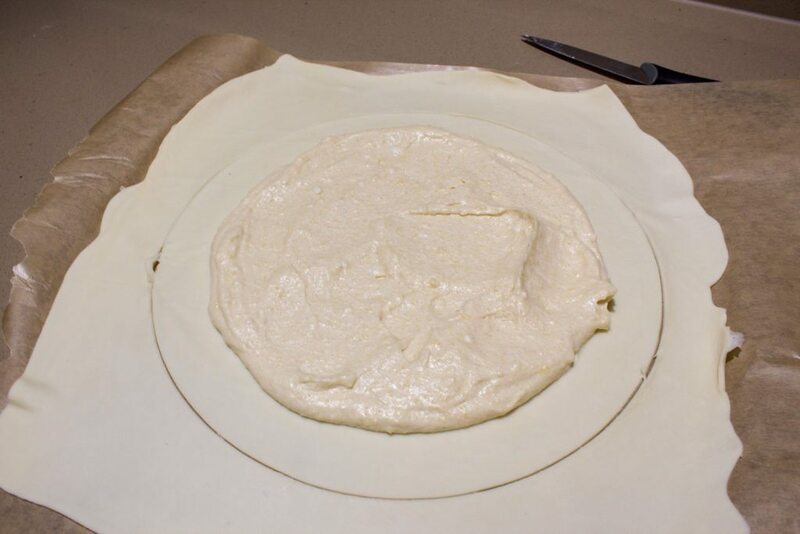 The most important part of this tradition is the ritual that goes along with it. 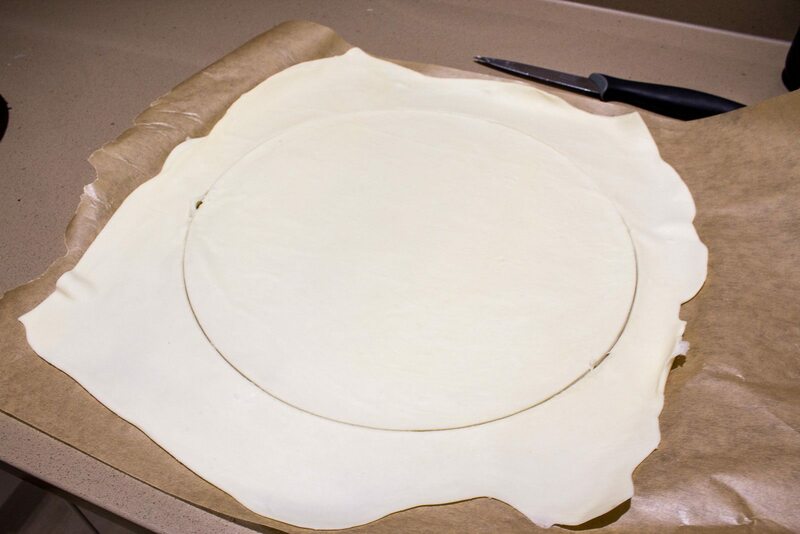 The youngest child of the family must hide underneath the table while an adult cuts the Galette. 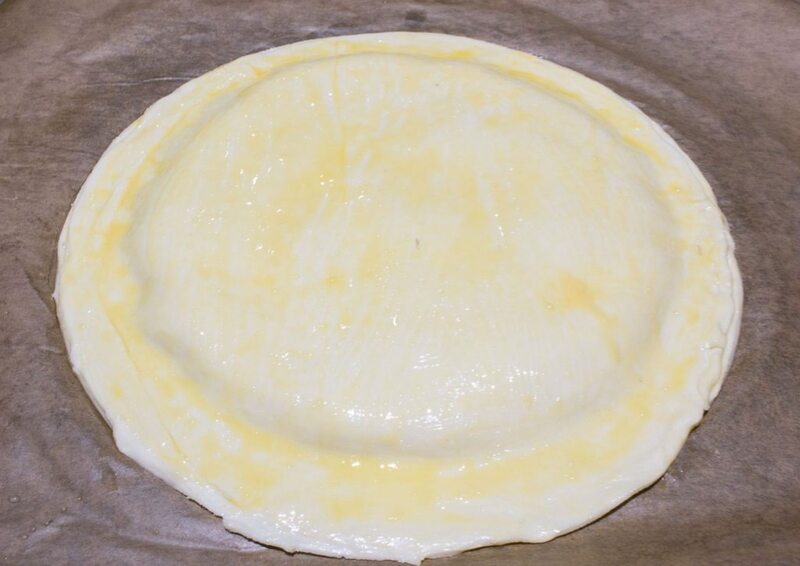 The hiding child must then call out which slice goes to whom, in order for it to be totally random. Whoever gets the charm in their slice is the King (or Queen) for the day and gets to wear the golden paper crown, that the Galette typically comes with. Also that person has to pick who will be their Queen or King for the day. 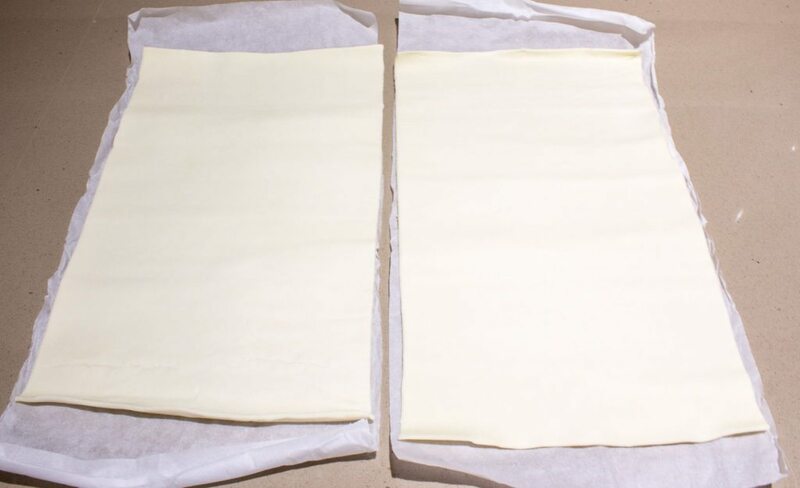 Take out the ready-made puff pastry from their box. 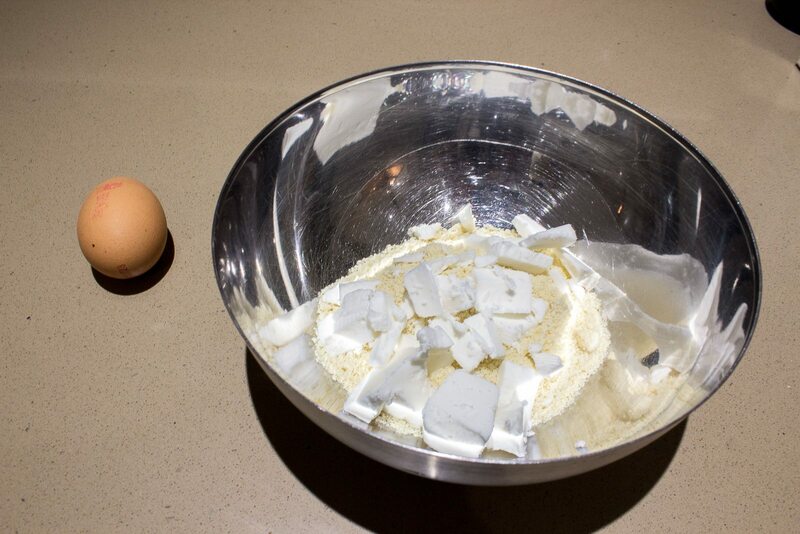 Chill in the refrigerator while you prepare the frangipane. 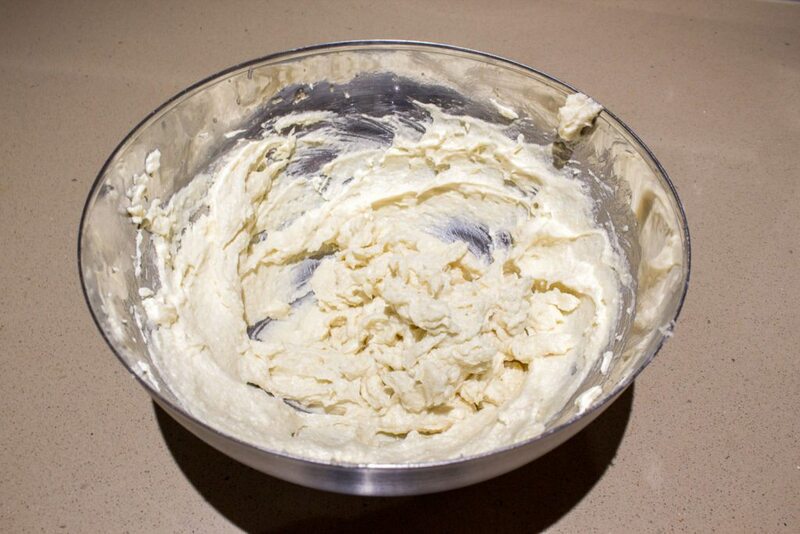 Start by making a pastry cream. 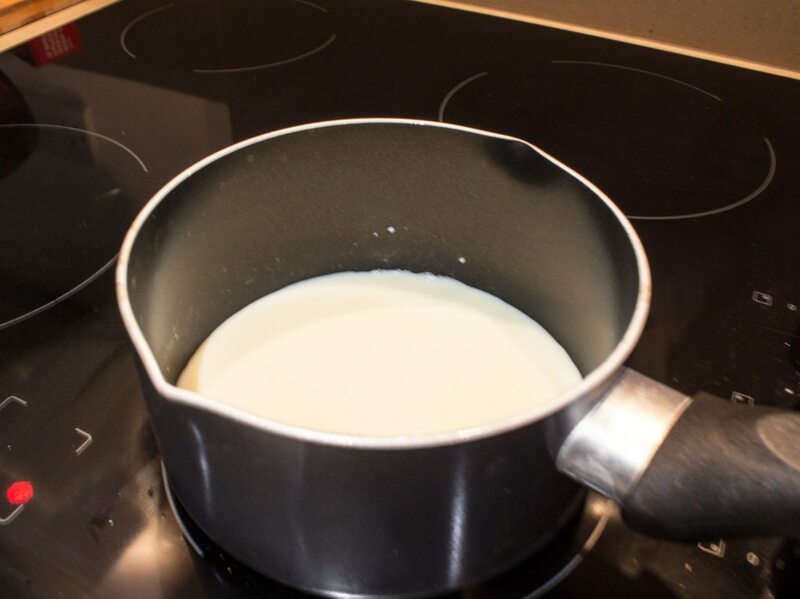 Heat the soy milk until bubbles begin to form around the edges. 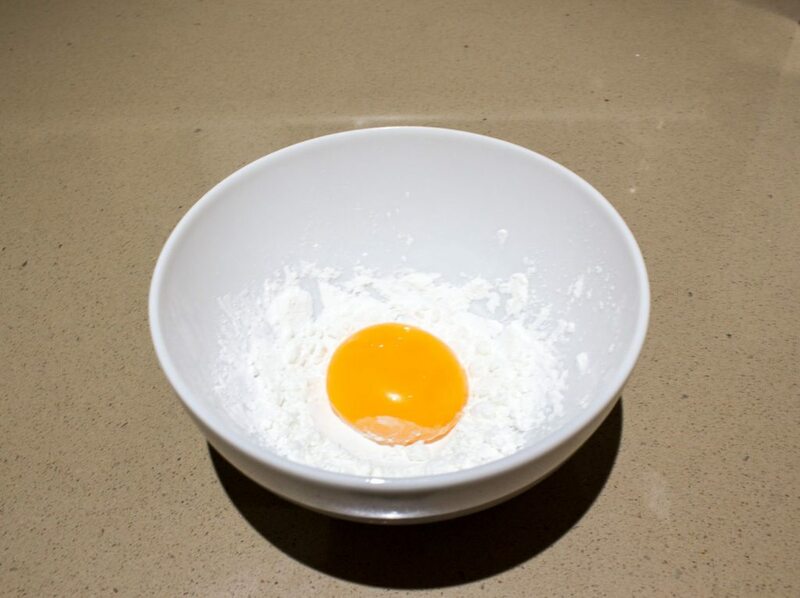 Put the sugar, the cornstarch and the egg yolk into a mixing bowl. 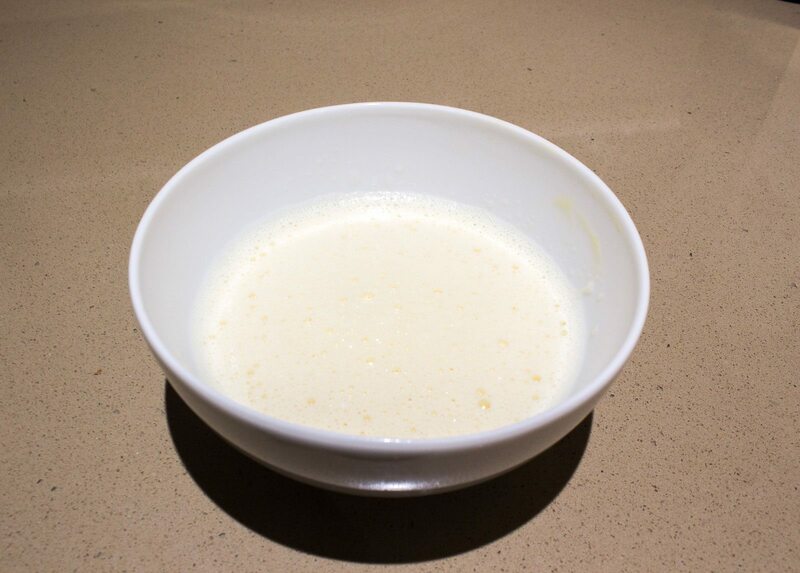 Pour hot soy milk and quickly mix in the bowl. 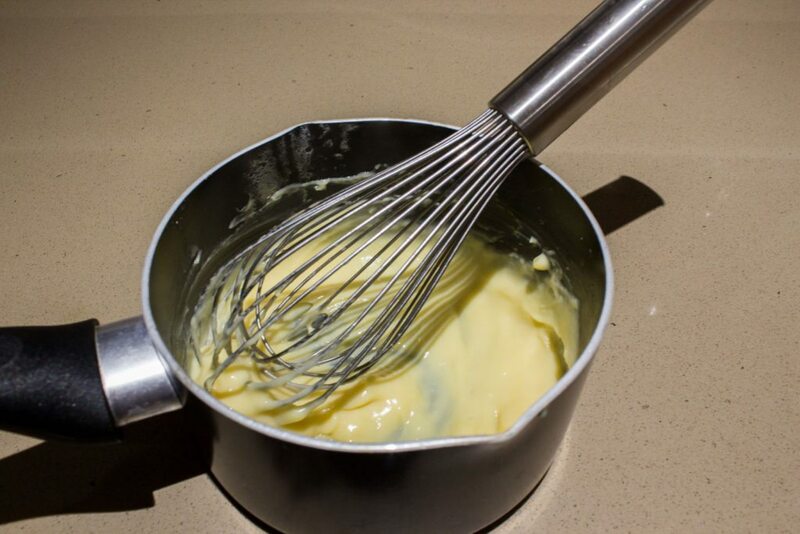 Heat the mixture gently while stirring. 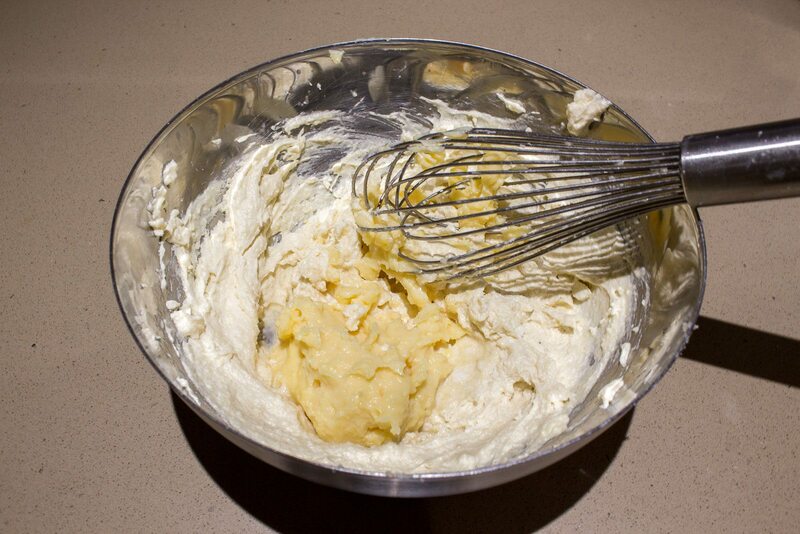 Let it thicken. 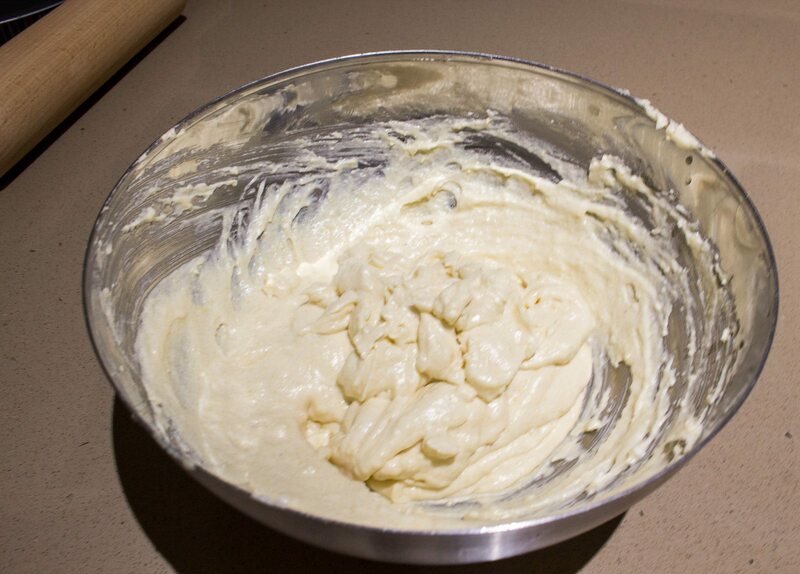 Mix the coconut oil, the sugar and the almond powder. 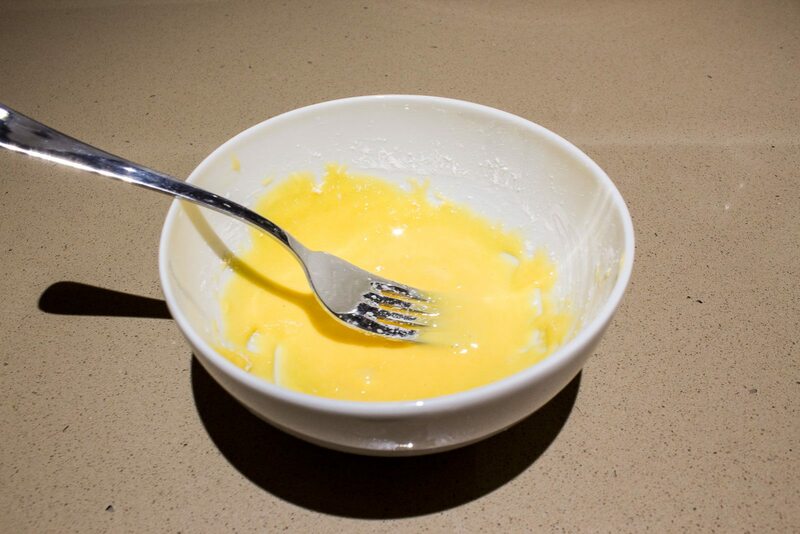 Mix your custard and almond cream together. 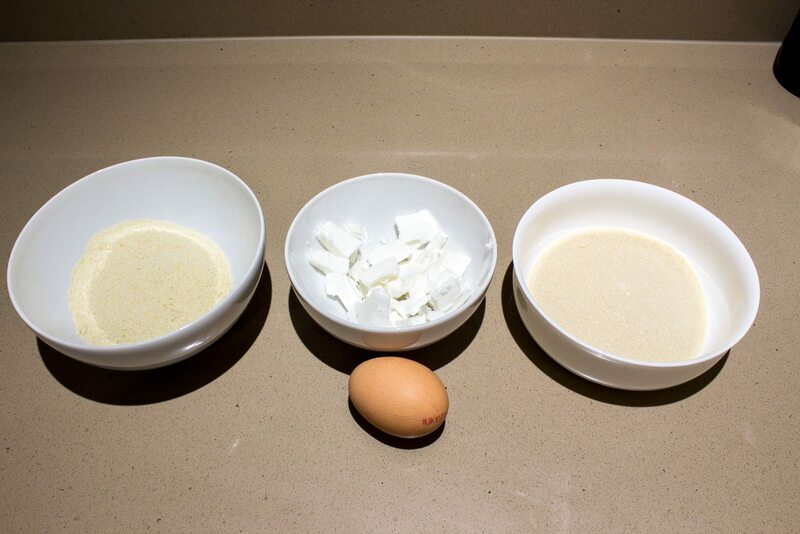 Now your frangipane is ready! Take out your two puff pastry dough. 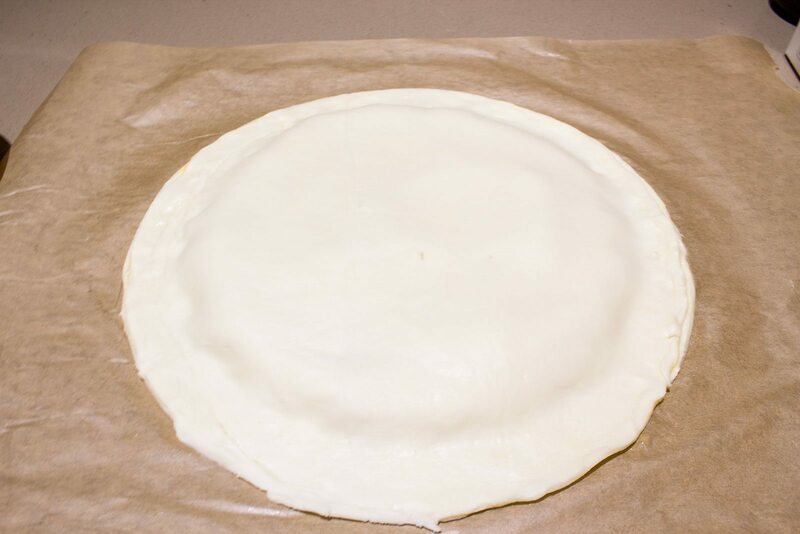 Cut out in each a circle of 24 cm in diameter. Spread the frangipane on the first puff pastry dough, leave a 3cm space from the edge. 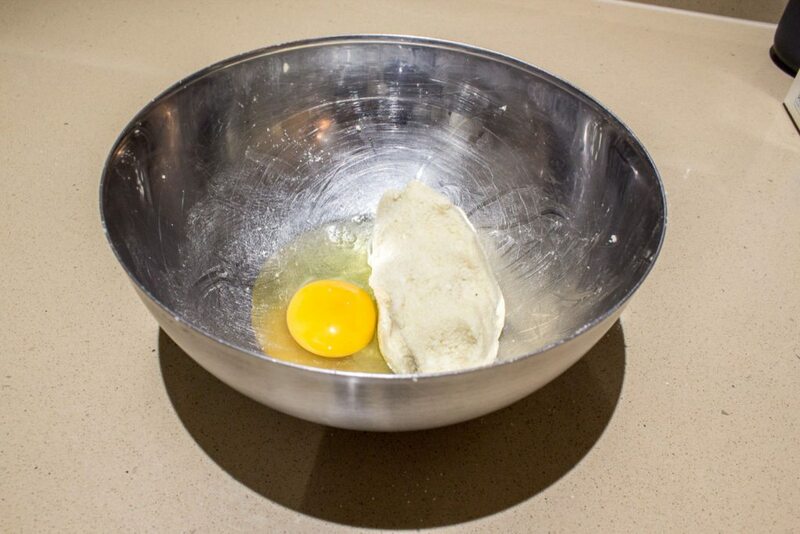 Add the bean in the frangipane. On the side if possible, it limits the chances of finding it too quickly later. 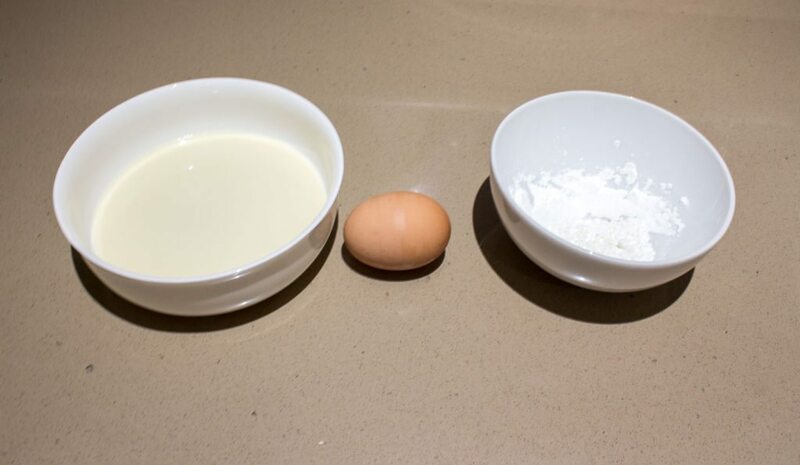 Mix the egg yolk with a tbsp of water for the egg wash.
Brush the 3 cm you left free on the edge of your cake with the egg wash.
Place the second puff pastry on top for it to cover everything. 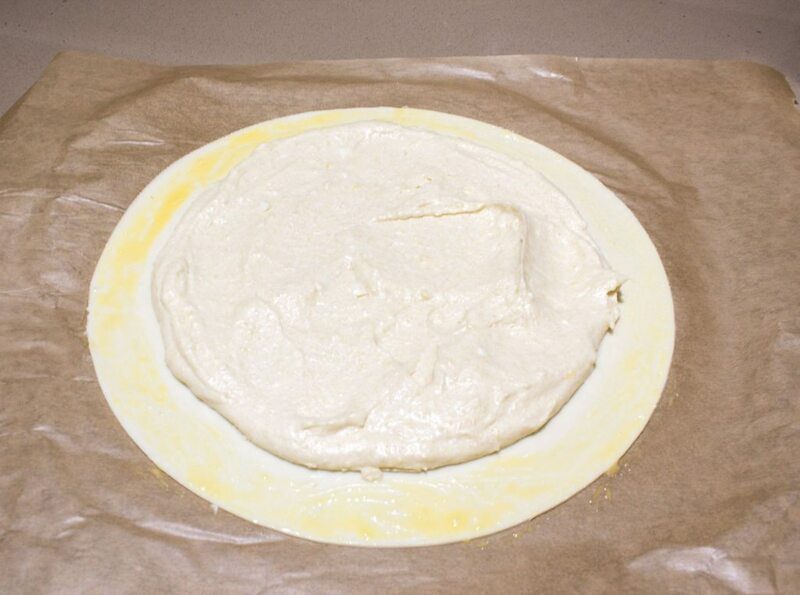 Press lightly on the side so that the two puff pastry are sticking to each other. 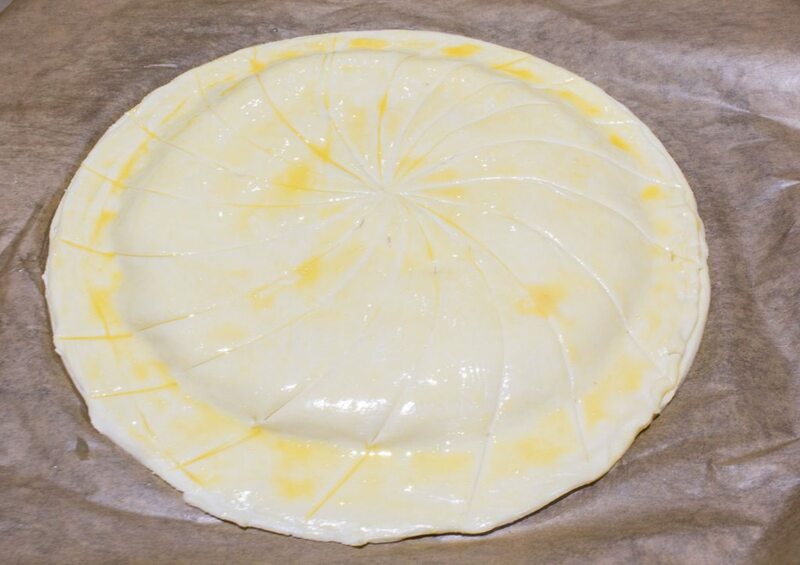 Brush the galette with the egg wash.
Chill in the refrigerator for 30 minutes. 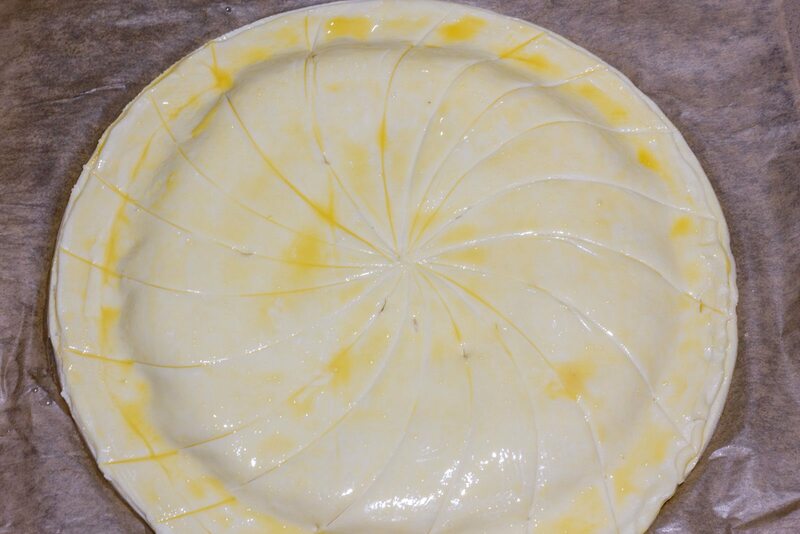 Draw the pattern of your choice with the back of a knife. 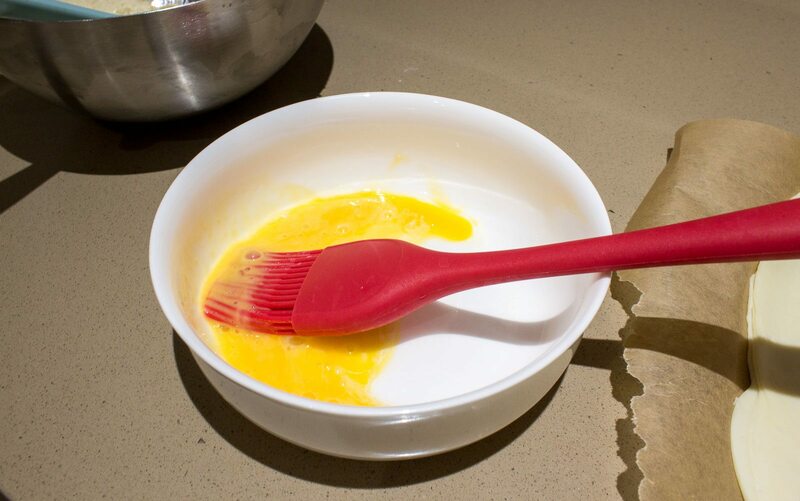 Brush a second layer of egg wash. By doing it twice make the egg wash and the color more homogeneous. 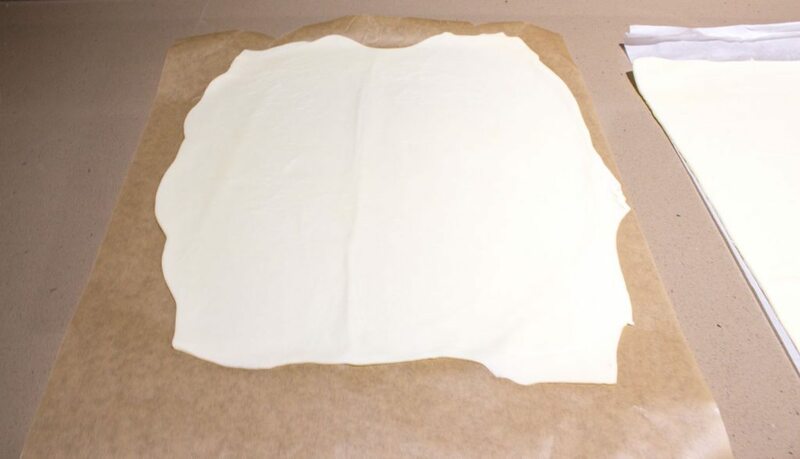 Poke 4 to 5 holes on top with a knife, you can include them into your pattern so that it is less noticeable. 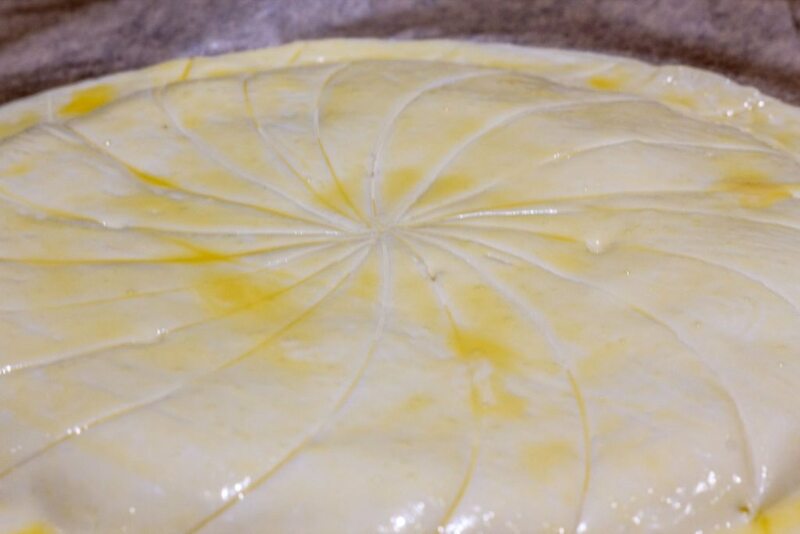 The holes will allow the steam to come out and prevent your cake from bursting through the sides, which could cause the frangipane to leak. 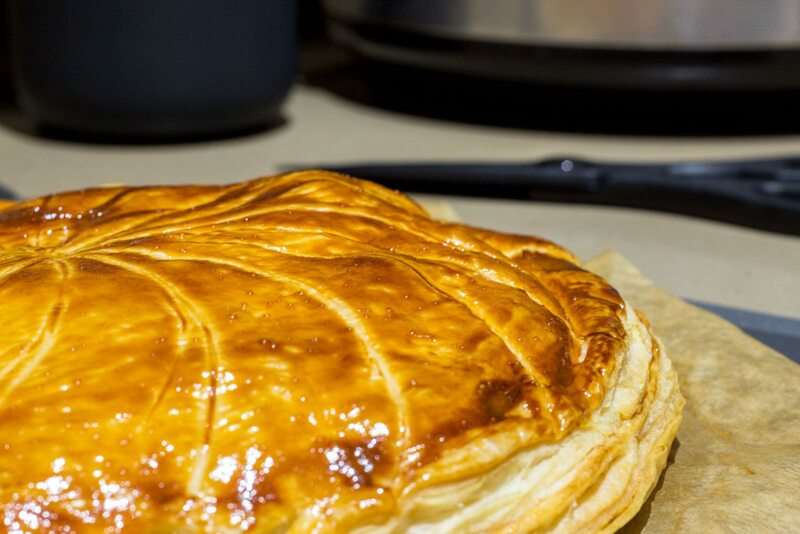 Your galette des rois is now ready to enjoy with your family. But if you don't feel like sharing, you can also make little ones and be the king or queen !